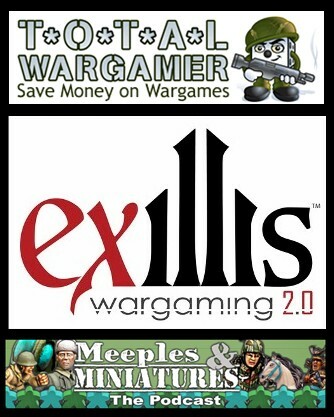 Just a reminder that this coming Saturday sees another Ex-Illis day at the Total Wargamer shop at Blackminster, Evesham. We are once again running a swiss-style tournament, so if you want to have a few fun games of Ex-Illis during the day, or if you just fancy coming along and saying ‘Hi’, we’d love to see you. I’m taking my new ‘toy’ with me, so a mini-report on the day will be appearing on the next podcast.